The JR Cuban Alternative to the Montecristo No. 2 cigar is the closest thing you’re going to find to a true Havana. These value-priced long filler cigars are crafted at the most legendary factories in the world with unused tobaccos from the most famous cigars in the industry. Expert construction, great quality, delicious flavors, and supreme consistency have made the JR Alternatives our best-selling brand for over 35 years. Buy a cellophaned bundle of 20 at JR Cigar today. I’ve bought 20 of these, all in 5 packs, so far I’d say they are well made & smoke very well but also have inconsistent flavors (some mild, some darker) It’s a good everyday smoke for me & my friends like them as well. 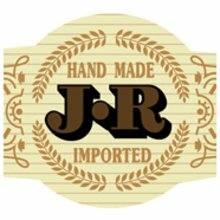 I have been buying cigars from JR for over 20 years. 18 of which were great. The last 2 years have been going from bad to worse. It seems there is absolute 0 QC for JR alternatives anymore, and worse the price continues to go up. I no longer find JR Cigar a Value. Would not buy again. Very hard draw. Excellent cigar especially for the money. I have had the fortune to smoke Cuban Montes over the years and believe it or not these are very very close. The construction is very good and the draw is great! The flavors of the cigar are almost exact. The main differences are the band and price. 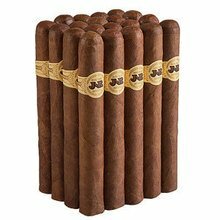 For those who are looking for the exact construction and flavor of the Cuban Monte #2 feel free to spend the $300+ it takes to get them or you can buy these at a very reasonable price and have close to the same smoking experience. This is an excellent cigar. Beautiful wrapper perfect construction nice full draw and a razor sharp burn. Medium bodied and flavorful it’s a perfect everyday smoke. I’ll definitely buy again. good cigar, primary use is while walking the golf course, have bought this bundle multiple times & never been disappointed. First 20 and I am impressed! Easy draw, even burn and good flavor. First time buying this Cigar and found it Great. This is a great cigar for everyday smoking. Very consistent and flavorful without being too strong. An excellent go to cigar. Was surprised . liked the flavor and the even burn and the draw. reordered just today. Bitter. Most were very bitter right out of the bundle. Draw was inconsistent and I had to relight many over and and over. Disappointed. I bought a $1.95 cigar and that's just what I got. I won't reorder these. Nice draw, smooth, great burn throughput. Love the price. I have bought these for nearly 6 yrs, with always several bundles at a time. For the most part generally good and a nice smoke. I have compared them to the real Mont #2 Habano, and while a little harsher it is also a lot less expensive. A good one for just having one with friends. These will have a regular home in my humidor. I can't say that I've ever had the opportunity to smoke some of the high options many of the other reviewers have, but I enjoyed this stick all the way through. Maybe it's not the greatest I've ever had, but a solid daily driver with a great flavor and a nice rich smoke. Far better smoke than I would expect for the price. Great smoke for the price. I expected bombs but enjoy these sticks and impressed with the flavor. First bad bundle I have had in a while. A little disappointed but not the end of the world. I will give them another shot. Great value. Flavor and draw very close to the Monticristo it is designed to emulate. I have had a couple that burned unevenly.